What is Staging & Rigging Insurance? In the entertainment industry, staging & rigging insurance is a crucial component of any event. As live events become bigger and more complex, each performance introduces a series of issues that expose your company to serious risks. If you fail to obtain the proper coverage for your business, your company could be left open to the legal consequences if the event goes awry. This type of entertainment insurance allows you to better focus on your business operations while remaining protected against legal issues. Learn more about staging & rigging insurance and why your company needs it. Who Should Have Staging & Rigging Insurance? There are a number of professionals that can benefit from having staging & rigging insurance. 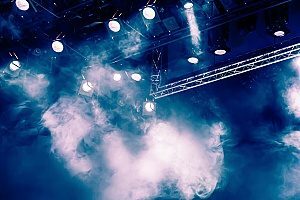 If you work in the following industries, you may want to inquire about entertainment insurance: concert audio equipment installation, stage set-up and take down, light rigging, pyrotechnic shows, and firework companies and manufacturers. You may also want to consider staging & rigging insurance if you work as an audio technician, touring entertainer, sound engineer, stage line operator, or amusement park designer. Businesses involved in speaker rigging or travelling theatricals should also be protected by entertainment insurance. General liability (GL) insurance, also known as business liability insurance, is a type of coverage that can protect you from a number of legal claims, such as property damage, bodily injury, and personal injury. GL quotes may cover a variety of costs like medical payments and damage to any rented premises. General liability insurance can also cover attorney fees. As a business owner, you need some level of business liability to safeguard your livelihood. As just one incident can result in a costly lawsuit, it is crucial to have the coverage you need to protect your level of exposure. Commercial auto insurance has some similarities to your personal automobile policy but with some major differences. 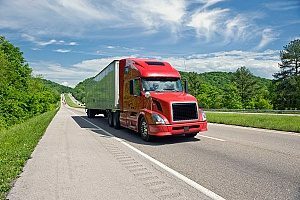 This type of insurance is required under certain situations and with certain vehicle types, such as food trucks, service utility trucks, box trucks, and other cars used for business purposes. If you are using your vehicle to conduct a service, transport goods or people for a fee, or provide use of your vehicle to employees for business purposes, it is essential that you have commercial automobile insurance. Workers’ compensation insurance offers coverage for various employee damages as a result from workplace injury or illness, such as lost wages, medical expenses, and rehabilitation services. This type of entertainment insurance is a valuable asset to both employees and employers, providing financial protection from job-related incidents. Workers’ compensation insurance can be useful if an employee is injured in an auto accident while performing job duties or when an employee becomes injured while restocking a supply room. It can also provide coverage if an employee develops a condition requiring treatment, such as carpal tunnel syndrome, from performing basic job responsibilities like typing on a computer. Excess liability insurance, often known as umbrella liability insurance, is a policy that offers companies protection in excess of an underlying liability policy. If your primary insurance policy does not cover the full cost of liability, the insurance policy would kick in to cover the remaining cost. If you are in a profession where the cost of liability is high or if you have low limits with your primary insurance, excess liability insurance can be a wise option. Excess liability insurance can also provide policy holders with legal counsel when they are sued. Errors & omissions insurance, or E&O, is a type of professional liability insurance that protects employers and employees against claims made by clients for negligent actions or inadequate work. E&O insurance typically covers any court costs and settlements up to the specified amount on the contract. Costs typically covered by errors & omissions insurance include defense costs, claims and damages, alleged or actual negligence, temporary staff and independent contractors, personal injury, copyright infringement, and claims from services provided in the past. Certain things may not be covered, such as fraudulent acts, employment matters, bodily injury or property damage, false advertising, or patents and trade secrets. Travel accident insurance is a type of specialized travel insurance that provides life insurance and coverage for accidental death and dismemberment in the event of a serious travel accident. Benefits for travel accident insurance are paid out regardless of whether or not the traveler had AD&D coverage or other life insurance. Some types of travel accident insurance may also provide some extent of coverage for emergency medical expenses. There are certain types of travelers that invest in accident insurance, such as journalists, war correspondents, government employees, missionary and aid workers, and frequent business travelers. No matter what type of industry you are in, data breaches and other types of cyber-crimes are always a risk. If you are not careful, these crimes can result in major fines and other legal fees. Not only are large companies and organizations susceptible to such risks, but also smaller businesses. A serious data breach can cause significant damage to your computer system and have a detrimental effect on your business’s reputation. Cyber liability insurance provides protection for any type of data breach that involves sensitive customer information, such as credit card numbers, social security numbers, account numbers, health records, or driver’s license numbers. Ensure that your hard work and valuable assets are protected with staging & rigging insurance. 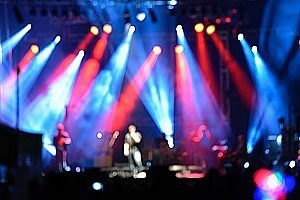 If you work in the entertainment industry, having entertainment insurance can help minimize certain risks that you may face when putting on events or performances. With the right amount of coverage based on your profession, you can reduce or eliminate the serious repercussions that can occur if you fail to maintain insurance for your business. Want to learn more about staging & rigging insurance or what entertainment insurance covers? Contact a professional entertainment insurance agency today. Previous Post: « My Band is Going On Tour, Do We Need to Be Insured?